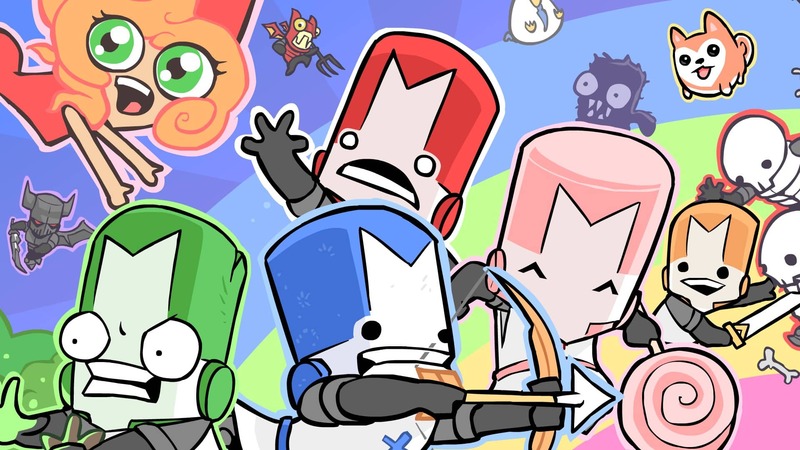 The Behemoth has announced that Castle Crashers Remastered will release on Nintendo Switch, the 2D arcade adventure coming to the portable home console thanks to help from PlayEveryWare. Challenging you to hack, slash, and smash your way to victory, it comes to Nintendo Switch with support for HD Rumble as well as the chance for as many as four players to team up in online or local multiplayer. You must save your princess, defend your kingdom, and crash some castles, with the improved textures five times the size of those in the original game. It will also run at 60 frames per second, comes with all the previously released downloadable content and the “frantic and weird” Back Off Barbarian mini-game. “We’ve always eyeballed Nintendo’s platforms with a very warm heart. However, since the GameCube, Nintendo’s cool features often demanded more development time than we were able to balance while guaranteeing quality. For instance, dual screens requiring UI and design reworks,” The Behemoth explains. Castle Crashers Remastered will release on the Nintendo eShop for Nintendo Switch worldwide in Summer 2019, and it will be playable at PAX East (Thursday 28th – Sunday 31st March) in Boston, MA.